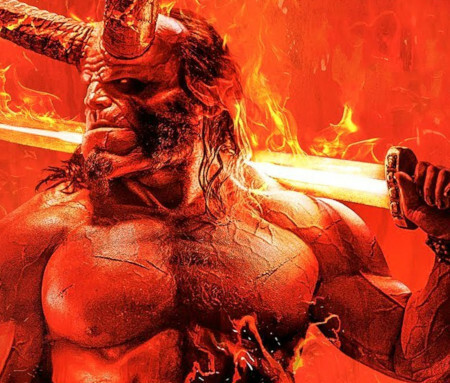 You are here: Home » MEDIA » Comics » Hellboy (2019) (first trailer). Here’s the trailer for the new Hellboy flick based on the Mike Mignola comic-books from Dark Horse. This is the first of a new series without Ron Perlman as the Big Red One. The movie now stars David Harbour in the title role (better known as the Sheriff from Stranger Things). The film also features Milla Jovovich as an ancient medieval sorceress looking to destroy Earth, Ian McShane as the boss of the agency and ‘Dad’ to Hellboy, Sasha Lane in a side-kick role, and Daniel Dae Kim taking time out from Hawaii Five-0 as a fellow agent of the Bureau for Paranormal Research and Defence (aka the B.P.R.D.). « MetamorFX: Art Of Constantine Sekeris (book review).